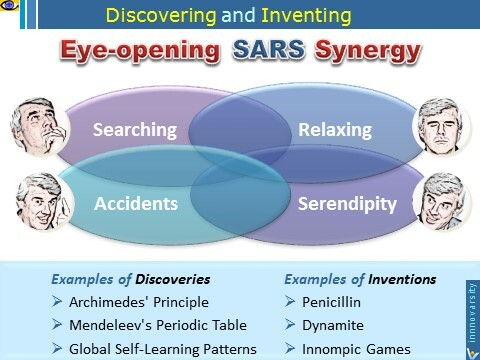 Ideate, create, invent, discover and solve problems while you're sleeping! 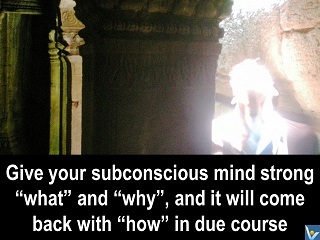 your subconscious mind works 200 million times faster? 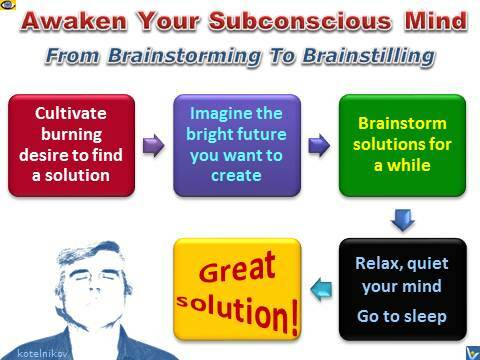 Your subconscious creativity is limitless! Give your subconscious mind “what” and “why”, and it will come back with “how” after a while, usually when you wake up from a sleep. René Descartes wrote that the basis of the Scientific Method came to him in dreams he had on November 10, 1619. When Innovation Brainball is used to strengthen a real venture and increase its chances for success, it's far more beneficial to play the game twice, on Day 1 and Day 2.